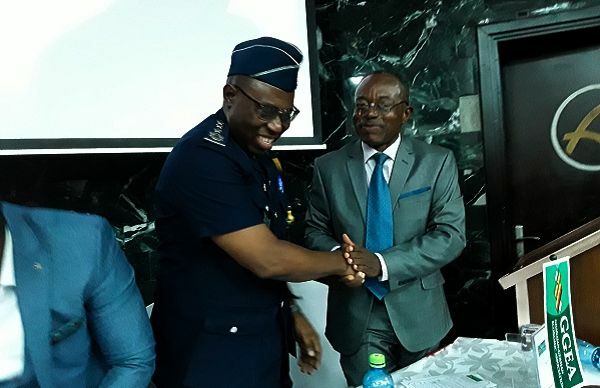 The Assistant Commissioner in charge of Customs Operations, Mr. Yakubu Seidu, indicated that the benchmark value which was properly identified by the WTO as the fall-back method was compatible with Ghana’s current nature of imports. 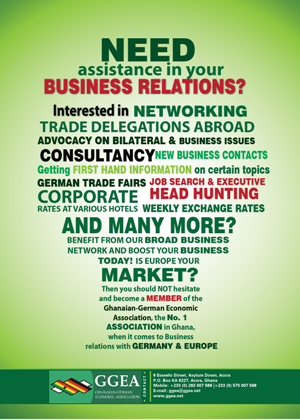 He was addressing a packed hall of business owners and executives at a forum organised by the Ghanaian-German Economic Association (GGEA) on April 10, 2019 at the Alisa Hotel in Accra. Mr. Seidu debunked claims in the media that the WTO had outlawed the benchmark valuation method and for that reason Ghana risked being sanctioned. The Deputy Minister of Trade and Industry, Mr. Carlos Kingsley Ahenkorah, in a speech read on his behalf by his Special Assistant, Mr. Michael Opoku, stated that the government was now building the capacity of small and medium enterprises (SMEs) to undertake big ticket projects. “In Ghana, more than 84 percent of all registered businesses fall in this category with a similar proportion of the industrial sector making it into the category,” he added. On the theme: “The Ghanaian Business Environment Today”, the forum had speakers such as the President of GGEA, Mr. Stephen Antwi, and Head of Retail Banking at Access Bank Ghana, Mrs. Matilda Asante. Other speakers were the Managing Director of Regimanuel Concrete Product, Mr Christian Braun, and the Head of Competence Centre, Private Sector Dev’t and Projects of the Delegation of German Industry and Commerce in Ghana, Mrs. Stefanie Simon.